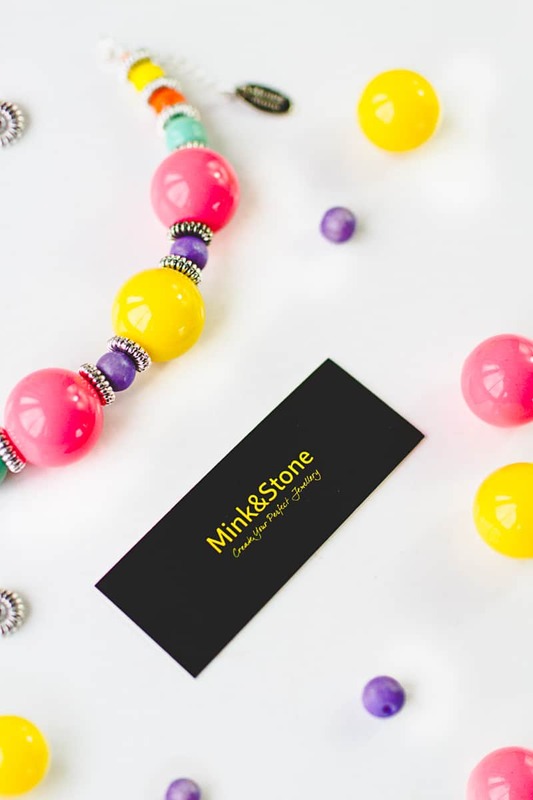 WIN A BESPOKE NECKLACE OR BRACELET DESIGNED BY YOU! Have you ever wanted to design a piece of jewellery that is completely YOU? I know I have, sometimes I just can’t find what I’m looking for and when it comes to a wedding I could think of nothing better than being able to design your own piece of jewellery! Imagine being able to choose from almost 500 different materials in beads, stones and crystals? Well, you don’t have to imagine because Mink & Stone are running an epic competition just for the lovely readers of Bespoke Bride! – You must ‘Publish’ your piece so that it appears on the ‘Inspiration’ page. – Winner will be chosen by Jessica & Emily. – Winner will get their unique jewellery made (It’s handmade in the UK) and delivered to them. – Open to readers based in the UK, US and Europe.